Nikolai Bukharin was one of the most talented and popular leaders of the 1917 Russian Revolution. Only 29 years old at the time of the revolution, he was editor of Pravda, the party’s chief newspaper and later became head of the Communist International. The Russian Revolution was left isolated in a world of capitalism. After the death of Lenin in 1924, a degeneration set in. The state bureaucracy found its “leader” in Stalin. By the mid-1930s, the counter-revolution had turned into a dictatorship that brooked no dissent. Bukharin and the other leaders of the revolution became the victims of show trials and were executed. Trotsky, then in exile, was eventually assassinated by a Stalinist agent. Yet remarkably, during the 13 months he spent in prison, Bukharin wrote no fewer than four books. The scale of his contribution and his amazing courage in facing his executioners, has become clearer in recent years, thanks to the indefatigable efforts of his widow and son, and the outstanding research of his chief biographer, Stephen Cohen. After Mikhail Gorbachev came to power in 1985 as secretary of the Communist Party of the Soviet Union, the momentum began to grow for the rehabilitation of Bukharin as well as other victims of the Moscow Trials. As part of the revolutionary policies introduced by Gorbachev, known as perestroika (reconstruction) and glasnost (openness), Bukharin was found innocent of all criminal charges and restored to party membership in 1988. It was at that time that Cohen was told by an aide to the Soviet leader that four manuscripts written by Bukharin existed in closed archives. But it was not until 1992, four years later, after Yeltsin had taken over and the Soviet Union was broken up, that Cohen managed to get photocopies of the four prison manuscripts – 1,000 closely written pages – through an unnamed official in the Yeltsin government. 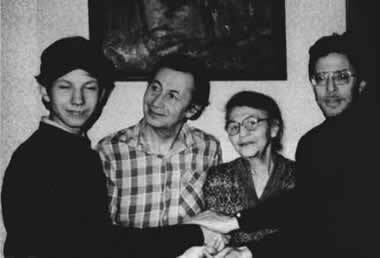 It was just in time for Anna Larina, Bukharin’s widow and the keeper of his flame. She died in 1996. Her reply is that he was a “tragic true believer”. This is part of the answer, but it needs a more concrete explanation. Bukharin was indeed a “true believer”, but not in a religious or dogmatic sense. He had lived through times in which open struggle and debate on matters of Marxist theory and practice, conducted with no punches pulled, were the life-blood of the Bolshevik party and its work. Open criticism was integral to Lenin’s approach, but it was never accompanied by threats of imprisonment or worse. 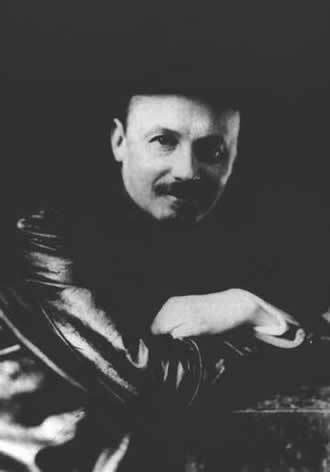 With Philosophical Arabesques, Bukharin revived the spirit of the debates during the years he spent in exile before the 1917 revolution, when he sparred with Lenin, Trotsky and others over political policies and their connection with economics and philosophy. As the Stalinist bureaucracy consolidated its power, open debate and struggle over philosophical problems disappeared. In place, a sterile, dogmatic viewpoint became the norm. But Bukharin sets out a holistic, non-dogmatic approach to philosophical concepts, reconnecting with the work that Lenin had carried out on Hegel’s dialectics. As he challenged the monstrous lies in the courtroom, as best he could, often in a necessarily convoluted and cryptic way, so he worked to develop the concepts of dialectical philosophy as he wrote in his cell. Aware that Stalin would not allow him to live, and that his prison stay would be his last chance to develop his understanding of materialist dialectics and hopefully present it to others, Bukharin laboured feverishly. He considered the Arabesques to be the most important of his prison writings: “It is a mature work in comparison to my earlier writings, and in contrast to them, dialectical from beginning to end,” he wrote to his wife Anna in a letter on 15 January 1938, but which she only received 54 years after it was written. As Sheehan notes, Bukharin took Lenin’s criticism to heart, studying Frederick Engels’ Dialectics of Nature, when it was – belatedly – published in 1925. Lenin’s own Philosophical Notebooks appeared between 1933-1947 in the Soviet Union. They provided Bukharin with a new chance to work through the problems of philosophy which Lenin had pointed out. In particular Bukharin studied Hegel’s writings and the way in which Marx and Lenin had turned the German philosopher “upside down on his materialist feet”. Philosophical Arabesques shows Bukharin systematically tackling a wide range of issues – art, science and pure philosophy as well as the racist notions of fascist ideologies. There are some 40 chapters or sections, each one tackling a particular philosophical issue or concept. The first nine establish the existence of an objective world as the source of sensation and knowledge, and the knowability of this world. Chapters on philosophical concepts, such as identity, being, truth and the theory of knowledge follow. The last group (33-40) are particularly concerned with Hegel, Marx and Lenin’s dialectics. In the opening chapter, The Reality of the External World and the Intrigues of Solipsism, the author addresses the reader directly, as though in conversation, presenting both sides of the argument. The devil’s advocate – Mephistopheles – is in a duel with a naïve realist, bewildered by the philosophers who deny the existence of a world beyond the thoughts of the individual. Bukharin acts as a guide to establish the materialist basis of dialectical philosophy. He does this throughout with a light touch, a polemical but often humorous voice, taking on opponents of materialist dialectics of different varieties. His provocative approach makes the abstract ideas concrete and accessible – a far cry from most academic philosophers of the empirical, post-modernist or post-structuralist varieties. One of his chief targets is the philosophy that glorifies “sensation” and “individual experience” and disconnects them from their material, external causes. He lampoons empiricist philosophers who divorce the subject from her/his connection with the social and material world, reducing thought to the “pure I”, or “pure consciousness”. He engages us in dialogues, questions and answers, often giving his arguments flesh and blood, and engaging the reader in a mental dialogue which makes these chapters a lively read, as his devil “curls his lips ironically”. Having emphasised the materiality of the world and its objective existence as well as its knowability, he goes on to discuss practice. Concepts are defined as social products, “the product of thousands of years of mental work”, whose starting point is “the active, practical relationship between humanity and nature”. He describes creative activity as the moment when “the passive principle [of contemplation] becomes highly active; aesthetic emotion itself grows more complex and is enriched through acquiring an actively creative side (through experiencing the value of craftsmanship). The sphere of sympathetic shared experience is the authentic sphere of art and aesthetics… and it has exceedingly profound roots in the hidden depths of humanity’s biological nature”. Bukharin was a pioneer in advancing the socially-conditioned nature of thought - “the sociology of thought” as he called it. But it is here also that a certain idealism becomes apparent. It seems that he believed that religion had died out in the USSR as a form of consciousness, not grasping apparently, that the prevailing outlook of the Stalinist bureaucracy was a secular quasi-religious dogma, with the Terror as a contemporary form of the Inquisition. But then, he knew that Stalin would read his manuscripts, so his freedom to express his real view was extremely limited. These are not eternal or flawless thoughts on philosophy. There are quite a few non-dialectical formulations, which tends towards a sociological, empirical point of view, rather than possessing the sharp scalpel of the dialectic and the ability to work with the concept of “negation”. For example, he defines the reflection of the world in our thought as “a compressed, condensed, ‘spiritual reproduction’ of reality”. This definition does not grasp the way in which the external world of nature exists within thought in a “negated” or “sublated” way, but nonetheless is present, bound to us by the materiality of our existence as part of nature. The world outside of us is the source of our sensations and we are physically connected with it. The world of thought is, therefore, a “negative” containing the positive source, albeit in an abstracted form. The encryption of the future structure and body of an organism in its DNA could be seen as an example of how this is a natural process in which “intelligence” is preserved but also negated as something new comes into being. A similar problem arises when Bukharin wrestles with the question of practice. There is gliding over of the real contradictions and opposites of theory and practice. Practice does not spontaneously “give rise to theory”. On the contrary, there can be and is a good deal of unconscious practice or blind activism, in which theory is turned into an empty abstraction rather than consciously developed as a practice. The strongest and most concentrated part of the book is in the final 100 or so pages, in which Bukharin examines what truth is in the light of Hegel’s system of dialectics. He takes the reader through Hegel’s Science of Logic – having studied Lenin’s own notes on the very same pages – in order to focus on how movement, change and transition arise from within the very essence of things, out of the contradictions within things themselves. “Present being”, he notes, “presupposes its other”. Each thing is the other of another, different from something different; each thing is delimited by another, and vice versa. As Bukharin realises, the stress in Lenin’s notebooks is on dialectics, in a substantial refinement of the theory of reflection put forward in his earlier work, in order to overcome the one-sidedness of mechanistic materialism which has plagued materialism and “Marxism” before and after Lenin. As he suffered under Stalin’s terror, Bukharin grew to value more and more the importance of philosophical method, in particular a dialectical theory of knowledge, as the touchstone of materialist dialectics. Conscious that this achievement, whatever the set-backs it was experiencing in his lifetime, would need to be continued by others if humanity and the planet were to survive was what impelled him to write. He had faith in the future of humanity, which is extremely important for us. In the most difficult conditions imaginable, he struggled to leave a philosophical legacy, a way of examining reality as a contradictory process, of which we are a part and which we help to shape. While the Russia of Bukharin and Lenin no longer exists, the challenges they confronted and took on persist in a new form. Today, global capitalism is plunging humanity towards an historical abyss, in which the survival of life on the planet is at stake. Our role and task is to carry forward the selfless work of heroes like Bukharin into today’s struggle for an alternative future. Philosophical Arabesques, by Nikolai Bukharin. Introduction by Helena Sheehan. Published by Monthly Review Press. 2005. £35. This I Cannot Forget, the Memoirs of Nikolai Bukharin’s Widow, by Anna Larina was published in Russia in 1988 and in English in 1993. It includes Bukharin’s “Testament”, memorised by his widow. See Stephen Cohen’s introduction to How It All Began, The Prison Novel by Nikolai Bukharin. Columbia University Press, 1998. For an account of how Bukharin defied Stalin during the Moscow show trials, see Annulment of the Verdicts on Bukharin, Rykov and Rakovsky by Gerry Healy in March 1988, on the occasion of Bukharin’s rehabilitation, Materialist Dialectics and the Political Revolution. MPC, 1990. Bukharin to Stalin, 1937, quoted by Cohen in his introduction to How It All Began. Arabesques Chapter 34 - The Dialectics of Hegel and the Dialectics of Marx, p.311. The owl of Minerva flies at midnight, or so they say. I thought it was an insightful review, and I particularly agree that Bukharin's epistemological viewpoints are often formalistic. They often lack insight into contradictions and unevenness which can arise in the process of understanding the world. Despite this, I'm not entirely sure that solely seeing the process of thought as a process of negation or sublation is so useful. To me that seems to be applying a label to a concept which can only be explained fully by a concrete analysis. This is not to say I think the terminology is incorrect, I agree with its usage for the most part. I just think there is far more to be said on the topic. If you like, I believe you are correcting Bukharin's formalistic error with your own. I.e. : "Term A will simply not do... what we need is term B!" What need to be understood are the undialectical contradictions that arise in thought as a result of this that or the other material contradiction in capitalism... for example, bourgeois thought being unable to explain the internal dynamics of their own economic system. Or, the uneven, contradictory consciousness developed by political actors who are pushed into struggle, and yet retain significant elements of bourgeois ideology. Substituting one term for another doesn't bring us much closer to this goal. Similarly, I think Bukharin's whole project is indicative of a certain revulsion at the regime he had a role in creating. In the early 20's, Bukharin was writing economic theory, and attempting to contribute in whatever (often misguided) way to the construction of socialism. But to return to the philosophical method of Marxism signifies that he was aware on some level that the greatest perversion of Marxism in history was taking place. I think the tragedy is, however, that he didn't live long enough to work out a satisfactory, materialist analysis of the USSR as Trotsky worked towards. So, Arabesques always remains in the realms of abstract thought. I think Bukharin was aware of the need to pass over into a concrete application of dialectical materialism, primarily in the rebuilding of the international socialist movement. But circumstances prevented him. None-the-less, I think Arabesques is one of the best interventions made by Marxism into philosophy. Thanks in part to Bukharin, the owl of Minerva is still flying. Daniel reads too much into Stalin's phrase: "The plan? We are the plan!" This is a bit of a mistranslation, since the original is really a takeoff on the well-known saying: L'etat, c'est moi. Furthermore, Stalin is in this case preceded by Lenin, who at one point -- 1921-22, I think -- said, in a similar takeoff, "The state is us," that is, we have the responsibility to see that the state is working well, it's not some foreign object. And Stalin is saying something similar: the plan only works if we make it work. Whether this is philistine, dialectical, or just political rhetoric is hard to say.